These would be a humorous cake for a teen-birthday. 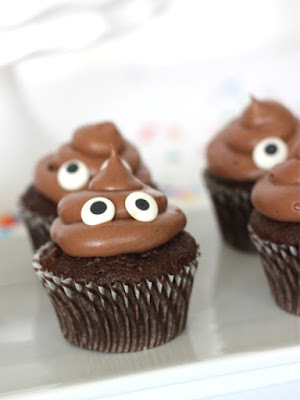 They're pretty easy to make - chocolate cupcake, chocolate icing applied with a piping bag and edible eyes. 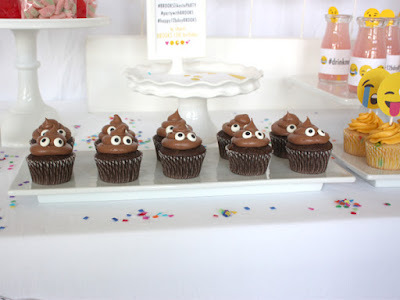 These would be fun as part of an "Emoji-themed" party.